I went traveling around the Americas with my good friend Gregory Lindae when I was 22 years old and there was one country which simply took my breath away, Mexico. After my trip, I began to make plans to move down to Mexico City and I have been living down here now for just short of a decade. There is so much to love about this city and I am constantly telling my family and friends how awesome it is. I have been fortunate enough to watch the city change a lot and it seems to get better with each year that passes. If you haven’t been to Mexico City yet, here are just a few reasons why I think it is awesome. The Mexican food is absolutely beautiful and it is nothing like what we get back home in the States. There is a huge range of local cuisine on offer in the city and most of it is sold directly from street sellers. If you are a foodie then you will adore the range of dishes which you can find in the city and the best part is that they are incredibly cheap. My experience of the locals here has been nothing short of amazing and they have been welcoming and helpful right from the get go. I love that I am accepted here and the spirit of the people is truly a sight to behold. After the recent earthquake in the city I saw a group of people who would do anything to help each other and I think that explains just how the locals are here. This is a city which is absolutely drenched in history and during the time of the Mayas, the Aztecs and the Olmecs all made their home here in Mexico City, or at least the location of the city. Here you can find the ancient city of Teotihuacan, the Plaza de Tres Culturas as well as many other heritage sites and ancient ruins. The Mexicans are very proud of their heritage and the ruins are perfectly looked after. In the same way that Berlin hot to fame in the 80s thanks to its cool art movement, Mexico City has a similar thing bubbling away in the city. In many of the barrios here you will find art and music scenes where ether are writers, painters and musicians who have come here to create. In terms of a jumping off point, Mexico City is the perfect gateway to the United States and also to South America. The airpot here is International and you can pick up cheap flight to pretty much anywhere in the Americas. 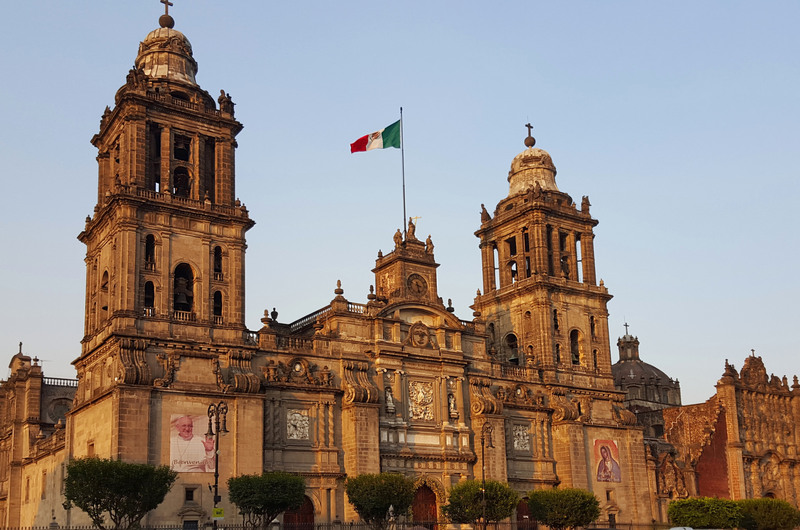 Mexico City is almost in the heart of Mexico and that makes it the perfect place to travel both south and north, wherever you happen to be heading to. Have you been to Mexico City yet? If not, now is the time to do so.